Home » About Me » 2015! Happy 2015! It is a new year and now that the holidays are over, I am ready to go boldly into this calendar year. Looking back at 2014, there were lots of good things. 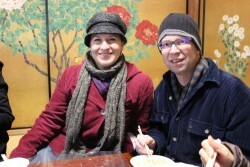 Jeff and I started the year in Japan – which was an amazing and inspirational trip. We ‘finished’ dog training classes with Koko. And, our backyard underwent several landscaping changes – a project that has been long over-due but is still a work in progress. And, of course, there were lots of trips to visit friends and family and opportunities to host several house guests, too! I also made some changes in my day-job by expanding my position. Although it has proven to be a good thing, it impacted my studio time and how I work with ABOC. As a consequence, I decided to take a break from teaching adult pottery classes in order to reclaim some studio time. It was a appropriate decision but I confess that I still miss the weekly inspiration that teaching brought me. My new schedule also affected ABOC because I get off work later. Since Julie retired, she has more time in the day and is less inclined to work in the evenings. So, we worked independently during the week and collaboratively on Fridays and Saturdays. We were very productive and managed to have a successful year. So what is in store for 2015? Well, two of the highest priorities is to freshen up our website and re-activate my blog. 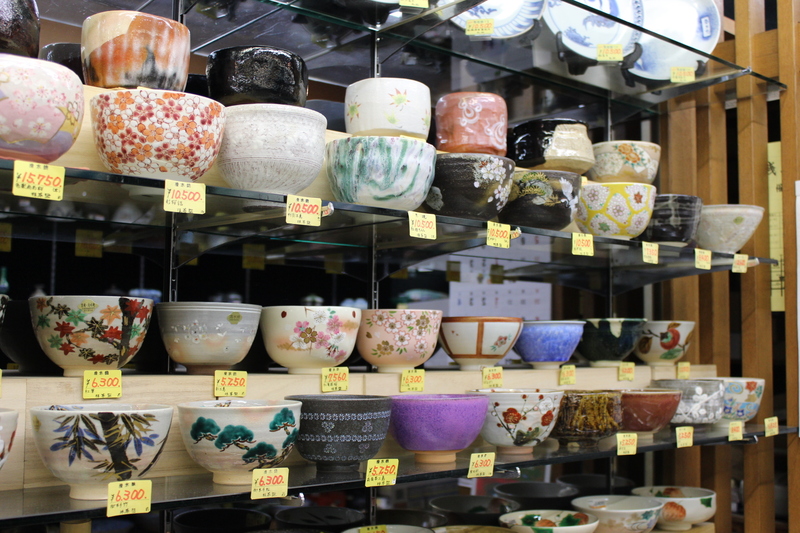 Japanese tea bowls for sale. Here is the thing, when time is limited (and it always is), I choose to do other things instead of website work. But, in today’s culture, a cyber-presence is essential. Although, we don’t sell items on the our site with a shopping cart (and I am not planning to do that), many people purchase our pots as gifts. A website gives the recipients of those pots an opportunity to ‘meet us’. Also, we have many loyal clients who frequently purchase from us. A website with a relevant gallery gives them an opportunity to see more work than what we are able to display at a show or in a store. So all this means, I need to take and edit a lot of photos. I may even update the layout – but for now, the gallery is the priority. Re-activating the blog is mostly for me. Teaching pottery classes forced me to continually look for ideas to share and incorporate in the studio. Since I am not planning to go back into teaching at this time (although I will when the right opportunity arises), the blog offers a good outlet for me to teach some and offers enough structure to cause me to be more attentive to considering and developing new ideas. Those aren’t my only objectives for 2015. I have many studio ideas that I am excited to try out. But, the business side of pot making needs some attention early in the year (like now when it is cold and I am less inclined to work after dark). So, whatever your New’s Goals or Resolutions are, I hope 2015 is a success.